Learn and Perform on Historical Clarinets this summer in Chicago! UPDATE: Chicago keyboardist David Schrader to join Marie Ross for featured concert during festival! 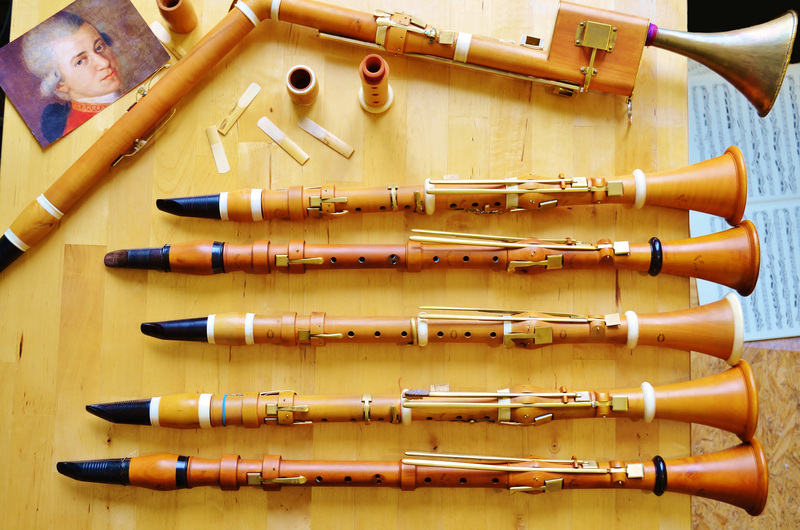 Classical-period historical clarinets made by a variety of modern-day makers will be provided at the workshop for participants to borrow and play in various chamber ensembles. Instruction will be given on how to play the instruments as well as in classical style performance practice. Presentations on different aspects of historical performance practice will be given at the start of each day. Recitals featuring well-known specialists in historical performance practice will be held in the evenings. The four days will end with a group recital featuring all of the ensembles that were formed during the workshop. The workshop is open to professionals and students. Workshop Presenter: Dr. Marie Ross performs regularly on historical clarinets from the Baroque period through the early 20th Century. As Associate Principal Clarinetist of the French orchestra, Ensemble Matheus, she has performed with superstars like Cecilia Baroli and Lawrence Brownlee in the world’s most famous theaters like the Théâtre des Champs-Élysées, the Berliner Philharmonie, and Theater an der Wien. She also performs and records regularly with orchestras like Concerto Köln, Musica Aeterna, and the Akademie für Alte Musik Berlin. Dr. Ross studied as a modern clarinetist at the Eastman School of Music, San Francisco Conservatory, and the University of North Texas before traveling to The Netherlands to study historical performance at The Royal Conservatory of The Hague. This entry was posted in Uncategorized on December 3, 2015 by theroyalwindplayers.